A big welcome to Battersea Ironsides for training - odds at Battersea, evens at home. Pitch plan below. Training kicks off at 10am sharp as normal. If you arrive after 9.30 you may find parking a challenge - please take note of our parking policy. This tells you where you can park off-site. U7s are marsalling the parking. KIT: big news - we hope to have the Club Kit shop up and running this Sunday. It's in the green container up in the clubhouse car park. We hope this will allow minis to access the most popular sizes of kit. 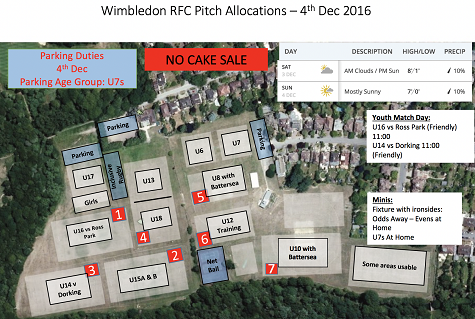 If we are not holding your required size you will need to order in the usual way at the Wimbledon Rugby Club Kit Shop and more details are here. Kit will be delivered to the new clubhouse shop for your collection. Note the shop will ONLY take Credit/Debit card payments. 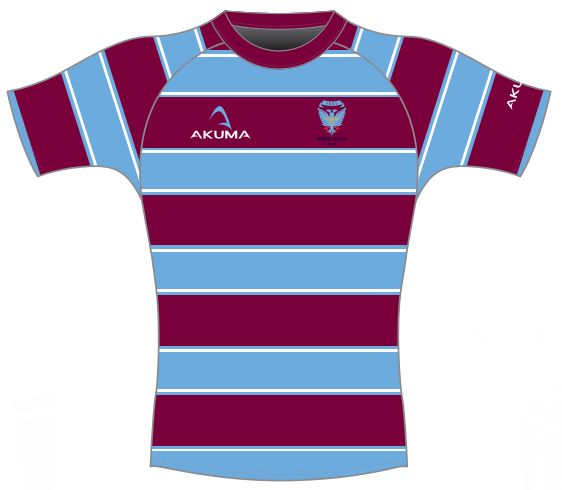 For those of you waiting on orders, we have had a large delivery of kit on Thursday, so unless you ordered in the last week or so, then you should have your kit available for collection this Sunday. The final order date for pre-christmas orders has now passed. New orders will be delivered in the new year.